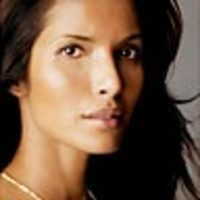 Cookbook author and actress Padma Lakshmi was the first Indian-American supermodel and has appeared in many high fashion ad campaigns. For the last five seasons, she has served as host of the Emmy-nominated Bravo reality television show Top Chef. She is the author of the cookbooks Easy Exotic and Tangy, Tart, Hot, and Sweet.